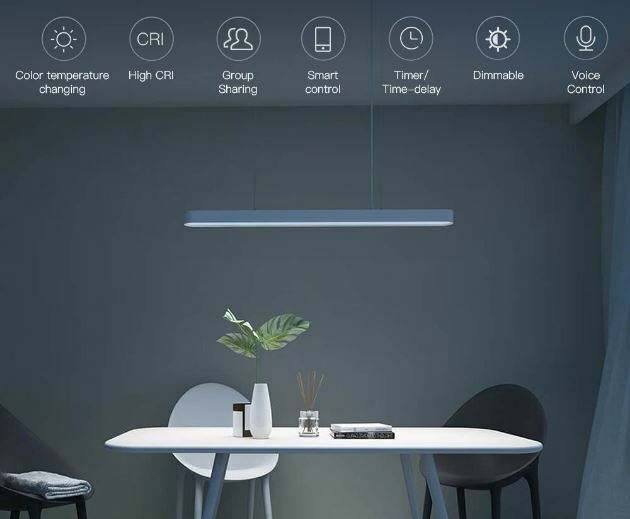 Yeelight is a Xiaomi submarine responsible for creating intelligent lamps, light bulbs and LED strips. I have many products with the Yeelight logo that work very well in home automation. A few days ago, the company presented another Yeelight Meteorite lamp that would ideally fit into the dining room above the table. 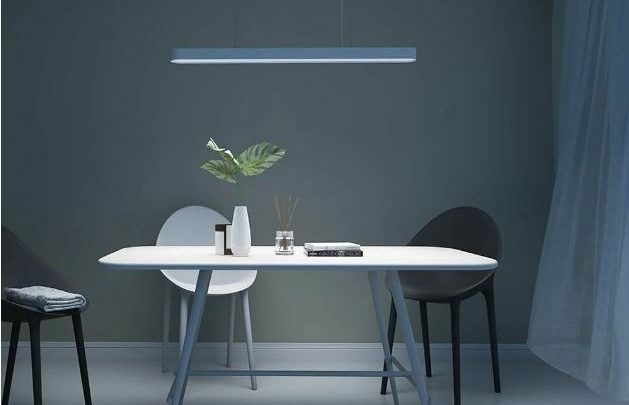 Do you associate the Jiaoyue lamp with Ambilight ? 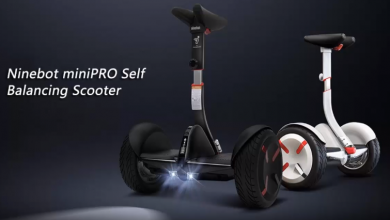 It was the first product that had a double light source. One, the main powerful one that can be adjusted between the color temperature of cold-warm light and the second weaker RGB with 16 million colors to arrange the right mood. Yeelight Meteorite also has two light sources, 12 RGB LEDs with 7W power are responsible for the colorful light on the ceiling. You can change the color using the Yeelight / Mi Home app, scenes with other devices or a voice assistant, including Siri from Apple. It is also possible to control the lamp using the Yeelight remote control but it is missing in the set, you have to buy separately. 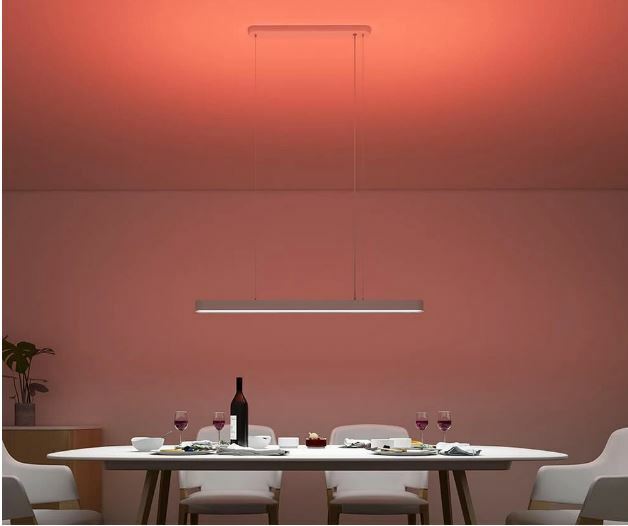 The remote control only supports the main light, it can not be controlled with colored light on the ceiling. The body of the new lamp has been made of plastic, making it lightweight which will facilitate assembly. Total lamp power is 33W, the main light offers a color temperature from 2700K to 6700K, and the light output is from 450lm – 1700lm. This is not an impressive value, but the table is perfectly enough. 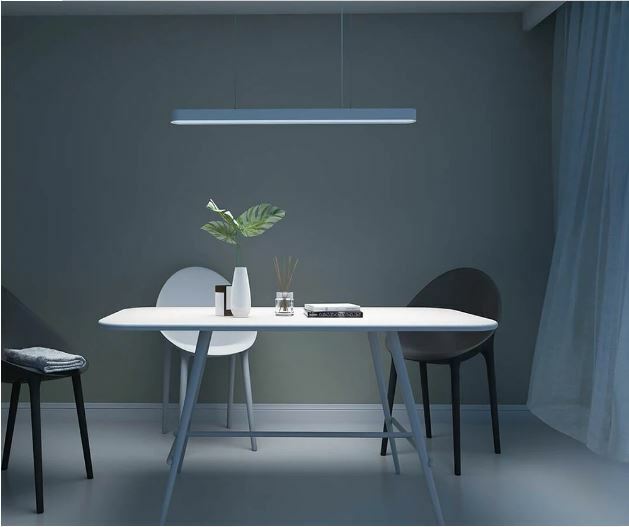 The lamp length is 90 cm, thanks to which the whole table will be evenly illuminated. The part which we attach to the ceiling has a length of 48 centimeters. Yeelight Meteorite hangs on three cord-wires with adjustable from 0.5m to 1.5m.